Short field Takeoff and landings were the order of the day as it was a UK bank holiday weekend thus it was too wet, too windy and too low a cloud base for a cross country! Mike decided to demonstrate short field approaches and take offs, but first we would take off and fly out to the south and check what the cloud base was and also I wanted to switch headsets and try Mike’s out to see if it was much better than mine or not. We were using runway 19 so after take-off we just continued out in the same direction we got to 1,100ft with the clouds just above us. 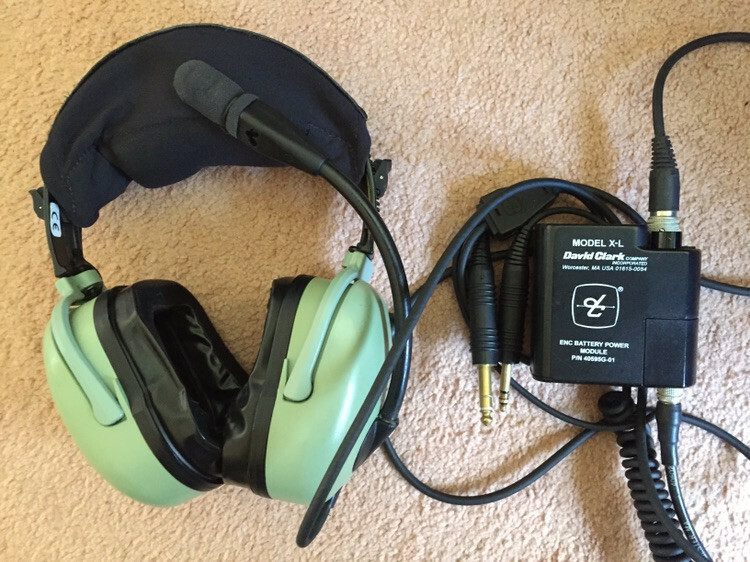 Mike offered to swap headsets, he is a great David Clark fan and has a H10-13XL I have an HX20-10XL, but the ENC never seems that great to me, there is a difference, but it’s not massive. My headset being second hand and old also has the older larger battery pack. Mike’s headset did seem a lot quieter than mine without the ENC switched on and the noise reduction was more dramatic when switched on; so I guess either I have a problem or the H10-13XL is a better headset, on the plus side for the H20-10XL it is more comfortable! I then flew us back to the circuit and landed we turned down the peri-track to clear the runway for Tom and Katie who were inbound behind us and taxied to runway 21 as the wind had moved around a little. Here Mike demonstrated a short field take-off; with the normal single stage of flap he increased to full power while holding the aircraft on the brakes, with the stick full back he released the brakes and as soon as we were airborne he lowered the nose allowing the aeroplane to accelerate in ground effect until we reached 60 knots and then we climbed away as normal. I then flow the circuit and Mike took over for the short field landing; we were to come in lower and with power, the normal 2 stages of flaps deployed, as we take the power off the aircraft decelerates rapidly, as the main wheels touch we apply full braking, while keeping the nose wheel off the ground as long as possible. The remainder of the lesson was me trying to emulate what Mike had shown with me having various levels of success. The take offs where mainly fine, putting the nose down early enough was an issue the first time! The my first landing was OK and we stopped nice and short my next two were go arounds, where the approaches were ok but the round outs were not great, my penultimate landing was good and final landing was fine too, however the right wheel locked up under the heavy braking, I instinctively released the break and corrected with the rudder, which I was told after was the correct thing to do, however I just allowed it to rollout as normal after, forgetting this was short field practice! This was fun lesson that I really enjoyed, the take-off and landing performance of the C42 is quite remarkable I don’t know the exact distanced and I was helped by the head wind but I would guess we were up in less than 60m and landing in 50m! During the week I have been playing with an SDR (Software Defined Radio) a cheap USB TV tuner with the RTL chipset from eBay (about £4.00 + P&P), with the right software you can receive ADS-B messages and I wanted to see if we could see the C42 with it and we could! The strange thing is that while on the ground the code (normally 7,000 for VFR) is not seen, but once airborne it is, after discussing this we think it’s due the difference between Squitter messages and Squawking, squitter being the unsolicited broadcast of information every second or so from a mode S transponder and Squawking being the reply transmitted by the transponder in response to an interrogation message, I will try to confirm this and update the blog. Lastly I have Skydemon (which I think is great) loaded on my iPad mini WIFI model and it uses an external Bluetooth Garmin Glo GPS. Following the update by Apple to iOS 8.3 this and many other GPS units have stopped working. This is a major issue if you intend to navigate using and external GPS, however I found that upgrading the firmware in the Glo to 2.7 and then “forgetting” the connection on the iPad and reconnecting it (this is an important step) it was working once more! A shameless plug as a closing thought! with the looming domain and hosting cost upcoming, I would ask you to consider clicking on one or more of the ads on the site to help me offset the site costs! Previous PostPrevious Too windy or not to windy that is the question!